Notebooks are a big deal for us. They’re essential to our daily life. A notebook captures ideas, records meetings, you name it, everything. They’re also important from a record keeping perspective even years after we write in them. We’re not religious when it comes to the type of notebook, we just need a piece of paper and a pen. When we look back at our notebooks, sometimes they’re keepers and sometimes they’re just thrown away because they’re filled with time sensitive notes that become useless later. 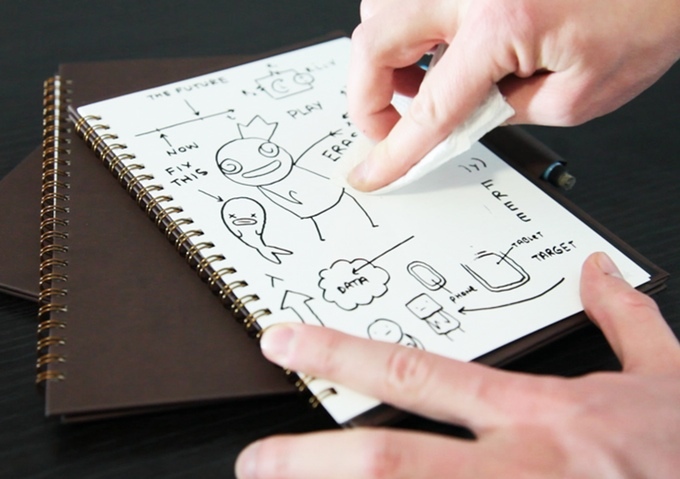 Wipebook are makers of whiteboard notebooks. If you’ve ever used a whiteboard, you know how practical and nice it is to have. For us, its great for to-do lists or ideas to be checked off. Now put that whiteboard in a portable version and boom, creativity amplified. 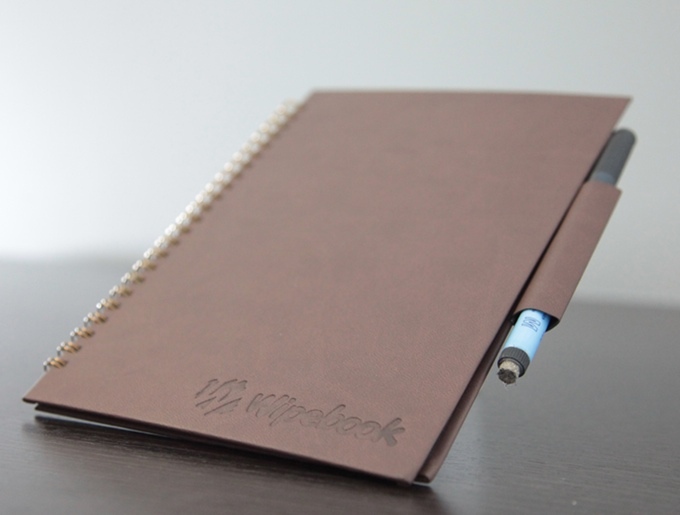 For starters, Wipebook has made multiple whiteboard notebooks, but their latest model is the Wipebook Pro. After hearing from their customers, they’ve designed a better, more functional notebook. Think Gen 2. Customers wanted a notebook with a leather feel, the pages to lay flat, a pen holder, and the Wipebook Pro has that and then some. The Pro has 20 writeable pages made with a hypergloss film formula that prevents smudging, but wipes clean and easy. The pages are held in place by a bronze colored wire-o binding. The covers are made with a durable faux leather sheet, and also have black internal backs so apps can easily capture the pages. The Wipebook Pro is a seriously functional and beautiful notebook. If you’re the whiteboard type of person (Who isn’t), this is for you. For us, this works perfectly, but not to replace our notebook. It’s a notebook for random ideas, things to do, and quick notes. We still standby our print notebooks for serious writing when 20 pages isn’t enough. The Wipebook Pro is currently available on Kickstarter. For one notebook, it’ll run you $26 – $29 depending on the size.